A tall, illuminated sign identifies the site. 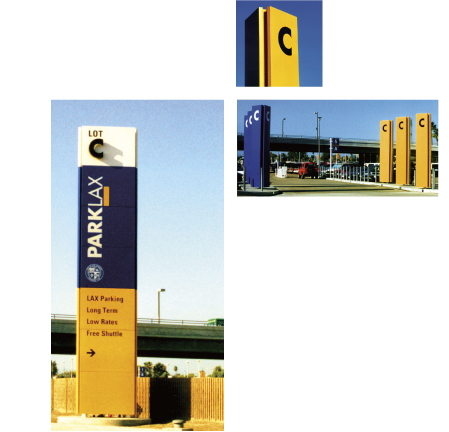 To maximize visibility, it is a three-sided pylon. The primary entrance echoes the color theme and visual identity with a colonnade of pylons.